What is CBD oil? Is it right for me? Why WAAYB? Check out our FAQ below, and if you don’t find the answers you need, shoot us a message. CBD Oil is a dietary supplement and an excellent source of nutrients that can be safely consumed as part of a daily diet. Unlike cannabis oil (generally referring to high THC oil), CBD Oil is rich in natural cannabinoids, is legal, and is not psychoactive, meaning that it does not cause one to get high. Responsible for this getting high effect is THC, a compound that is naturally found in the cannabis plant. 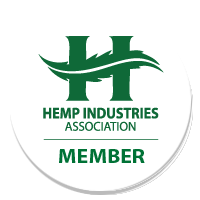 We use Industrial hemp which is categorized as having less than .3% THC. Our hemp is grown in Colorado on our own family farm that is free of pesticides and soil free of any toxins. Where the hemp is grown is just as important as how it is grown. A lot of hemp comes from Asia, and is grown in ground that is poisoned with heavy metals. The hemp will detoxify the soil but then those toxins are in the hemp sold to US companies. 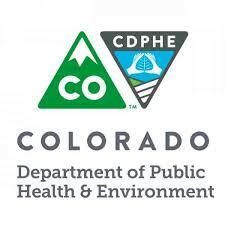 We will ALWAYS use Colorado grown hemp free of any toxins. Why isn't your product USDA Organic? All of our products contain only organic ingredients including the recent certification of organic for our hemp farm. Be careful with products claiming to be USDA because other companies that claim their products are organic or USDA Organic are referring to the product that is mixed with their hemp extract not the hemp itself. We feel as though this is misleading, especially because some companies are importing hemp from Asian or Eastern Europe that are the furthest thing from organic. WAAYB Organics does all of the extraction for our own product. We own two Supercritical CO2 extraction machines. We will NEVER purchase oil from another producer because we can’t guarantee quality. That is why we keep everything in-house. What is Supercritical CO2 extraction and why does it matter? What are the ingredients in WAAYB Organics CBD oil? Our CBD oil contains the following natural, safe ingredients: hemp extract, MCT fractionated coconut oil, and natural flavoring (organic sunflower seed oil and either cinnamon, lemon or peppermint oil, depending on the flavor you purchase). Our pet product and flavorless contains the following ingredients: hemp extract and MCT fractionated coconut oil. Why are the numbers on the front of the bottle and the supplement facts different? The number on the front of the bottle (3.3mg, 10mg, 20mg, 30mg) represents how much CBD there is per serving in that bottle.The large number on the front (100mg, 300mg, 600mg, 900mg, 1200mg, 1800mg) represents the total amount of CBD in then bottle.The number on the back of the bottle under supplement facts will be bigger because that represents the total amount of hemp extract per serving.For example the 900mg 1oz bottle of CBD oil has 30mg/mL of CBD and 9mg of other cannabinoids and aerial plant products. Ideally we suggest that you store your WAAYB Organics Hemp Extract Oil in a cool dark place, but in direct sunlight over 2 years it would only degrade 5%. My oil has changed color is something wrong? It is completely normal for your product to change colors.Since we don’t use any preservatives both the hemp extract and the MCT oil will change color naturally.This does not impact the efficacy of our Hemp Extract Oil. There are a wide variety of factors that can influence which strength will work best for you. We suggest that you purchase the 600mg bottle and then use our graduated droppers to determine what strength you feel. Since it is in the middle strength that we offer, it is easy to take a little more or a little less depending on your experience. Are WAAYB Organics CBD products safe to use on pets? Yes! In fact we™ve got a line of products specifically for pets. Extend the same benefits you enjoy with WAAYB Organics products to your dog or cat. Please note that cats have some allergies to peppermint or cinnamon so it is important to use only the Pet or Flavorless products with pets. Transdermal are a great way of not only delivering hemp extract to a localized area but is also great for system usage as well. We only have two ingredients in our Transdermal Cream. The same great hemp extract found in all of our other products and a liposomal base. Can I Test Positive for a Drug Test? There are many factors that could cause a positive drug test while taking any CBD product. Some tests don’t differentiate between THC or CBD, so even if you take a 0% THC product you could still test positive. People metabolize cannabinoids different which could cause a positive test and finally, all tests have a large variety of standards for what would cause a positive test. For these reasons we suggest that if you might be drug tested to not take ANY CBD products. If you live in the United States, then most likely Yes! We ship to most states from our facility in Colorado. You™ll receive a tracking ID with your order receipt. If you™re having any issues tracking your order, please shoot us a note using the form below. Do I have to worry about temperature with shipping? No.The Hemp extract itself is exposed to high temperatures much more than can happen in a hot car or postal service vehicle.The smoke point for MCT is 320 degrees. I would like to Wholesale WAAYB Organics CBD Products are there minimums? How do I set up an account? We are happy to help you set up a wholesale account where you can order either through a representative or through our website. We don’t charge for shipping and we don’t have minimum orders. Shoot us a note via the form on the wholesale page, and we™ll get back to you with options. Do you offer private labeling? What options do I have? We do offer private labeling and we have a lot of options at an affordable rate. Please email victor@waayb.com and he will be happy to discuss with you more in depth the options and costs involved with expanding your brand to include CBD Products. Send us your questions, and we’ll get back to you with answers.